This quick and easy method for dating black Singer Featherweights uses only the 2 letter prefix and the first 2 digits of the 6 digit serial number. For purposes of identifying the date when a particular serial number was reserved, it is necessary to decipher the 2 letter prefix and only the first 2 numerals of the serial number. Example: 221__AD 884639 Ignore the last 4 digits; then lookup 221__ AD 88……3/18/1935. Singer manufactured many different models with the same two letter prefix. For instance, every Singer model produced in 1934 at Elizabethport had the same prefix (AD). When a new production run began for a particular model, several thousand serial numbers were reserved for each model. After 1 million serial numbers for a given two letter prefix were reserved, the next alphabetical prefix was begun. The serial number reservation date is often confused as the actual production date or “birthdate”. For example, the birthdate for 221 AD 789994 is not 11/27/1934, but is sometime between 11/27/1934 and 03/18/1935, when the next production run began for Class 221, Model 221’s at Elizabethport. Model 221 Featherweights were produced at Singer’s Elizabethport facility in Elizabeth, New Jersey from 1933 to 1957. Model 221-1 Featherweights were produced at Elizabethport from 1935 to 1951. Model 221K Featherweights were produced at Singer’s Kilbowie facility at Clydebank, Scotland from 1947 to 1961. Model 222K Freearms were produced at Singer’s Kilbowie facility at Clydebank, Scotland from 1953 to 1961. Motors: Models 221 and 221-1 were originally equipped with 110-120 volt motors. Model 221K Featherweights were originally equipped with either 110 volt or 220 volt motors. Except for the motors, the mechanical components of all Class 221 models (221, 221-1, and 221K) were fundamentally unchanged from 1933 through 1961. 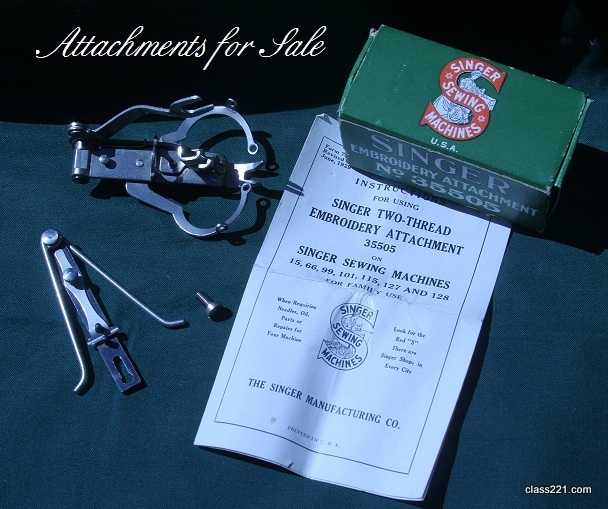 The International Sewing Machine Collectors’ Society (ISMACS) has published a wealth of information about the Singer Featherweight. 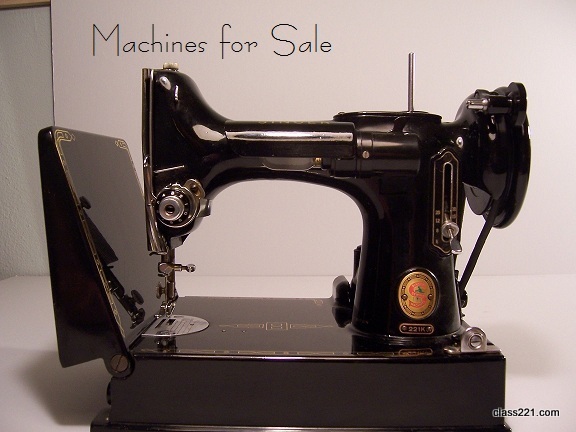 Detalied information about transitional production runs is available at the ISMACS website.The Singer Sewing Machine Company has published the complete list of serial numbers reserved for each production run of the Featherweight. The exact number of Featherweights actually produced is not known. The data was condensed into the quick and easy Two Digit Dating System by class221.com.